Whenever, in our history, humanity shifted it brought about new possibilities in our organisational models and productivity. Shifts require different structures and day-to-day operations. Certain conditions help such new organisations thrive. Many who work in and with organisations (eg. coaches, managers, HR practitioners) sense that something seems broken. 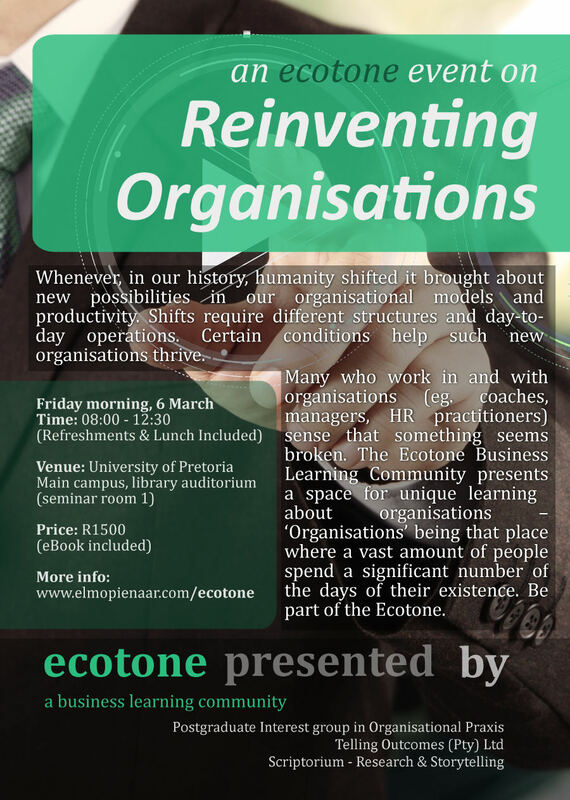 The Ecotone Business Learning Community presents a space for unique learning about organisations – ‘Organisations’ being that place where a vast amount of people spend a significant number of the days of their existence. 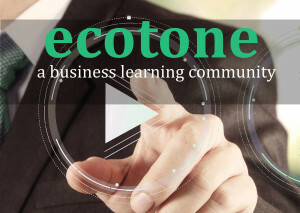 Be part of the Ecotone. The event will not only present the book but we want to go further and facilitate meaningful conversation on related topics relying on everyone’s local knowledge. Yet, as far as the book, Reinventing Organizations , is concerned you will receive a link to a free download section. This is an affiliate link but keep in mind that it is not necessary to buy the book since a electronic version is included if you are attending. The download link will be sent to you prior to the event and a group contribution will be made. If however post-the-event you want to buy the book also, use the link provided in which case I will give you a promotion code. Here is a good overview of the book by Change Factory. Main Campus, University of Pretoria, South Africa: UP Library, Seminar Room 1 (small Auditorium). 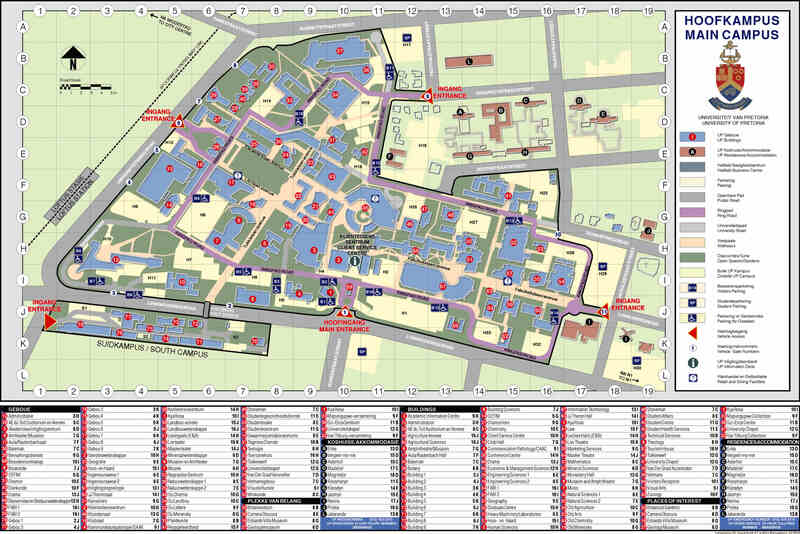 On the map-image it is building number 3 near the main entrance in Lynnwood Road, the Academic Information Centre. Download pdf image here. Mandate: ‘Scriptorium’ is a Non-Profit Company (particularly focusing on the development and transformation of research at various levels in society). As such, if requested, you will receive an Article 18 Certificate.